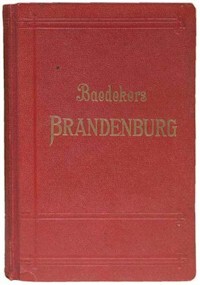 Baedeker editions 1920-1943 covering German regions (plus Elsass and die Generalgouvernement) in German. These smaller guides were published after the First World War when international travel became expensive, if not impossible for many Baedeker readers. They were not published in large editions and are therefore relatively rare. Under Other regions below, we have collected guides to regions which are no longer part of Germany. Elsass and Generalgouvernement were of course only under German occupation at the time of publication.